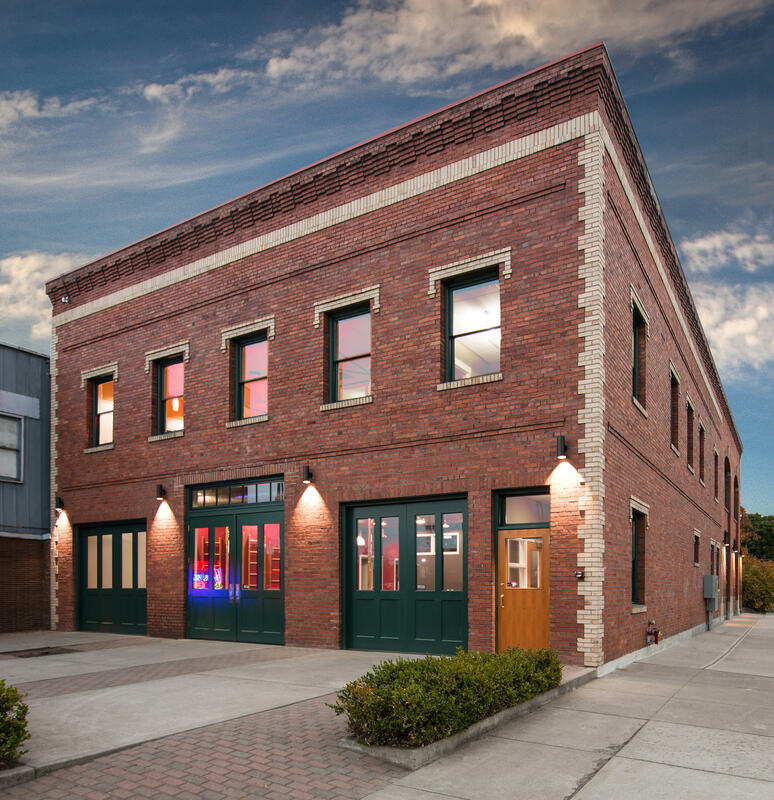 Spokane Public Radio rehabilitated a historic Spokane treasure, Fire Station No. 3 on North Monroe and Sharp. This community hub has state-of-the-art performing and recording studios. We are in the process of growing the news, arts coverage, and local programing you depend on. Thank you for your gifts to the Moving to a Sound Future project! 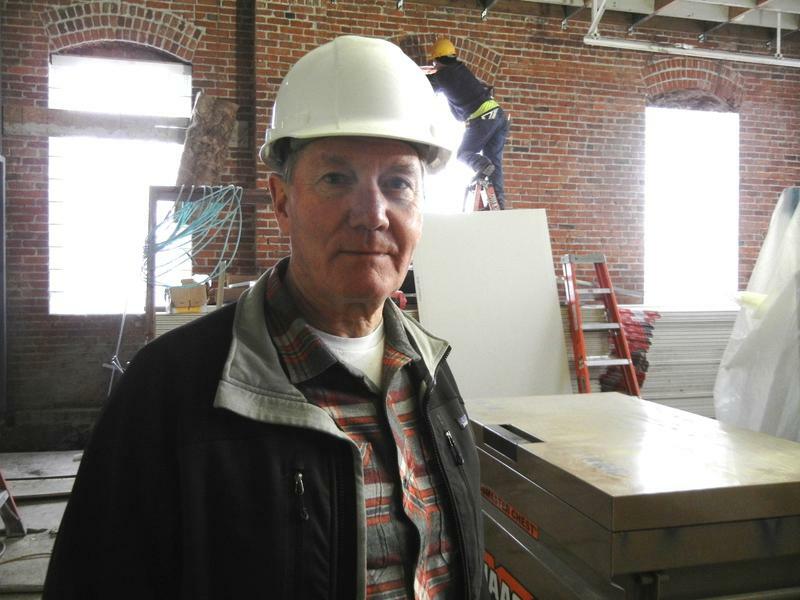 Spokane Public Radio's owner's representative, Harvey Morrison, has worked on the building project since the beginning. He helped scout out possible locations, and ultimately walked us through the plan to remodeling the old fire station. Copeland Architecture and Construction was the lead architect for the renovation project in old Fire Station #3. Architect Austin Dickey toured us through the building explaining historic elements, and new features. Spokane's former Fire Station No. 3 is more than SPR's home. 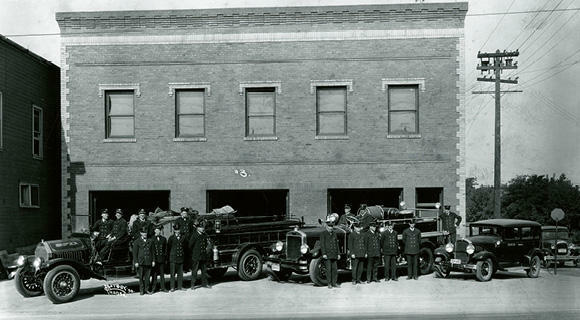 It is on the National Register of Historic Places, and represents the development of the region's fire department. 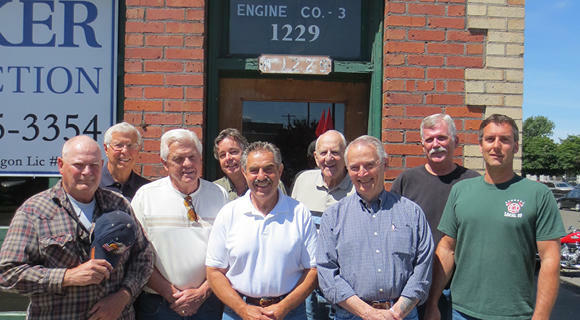 Like KPBX's first broadcasters, the first firemen in Spokane were all volunteers with different roles in the community. Many of the firemen were local businessmen who wanted to protect their livelihoods. But the volunteer fire brigades ended in 1889, when Spokane's Great Fire proved the blossoming city needed a paid, full-time force. 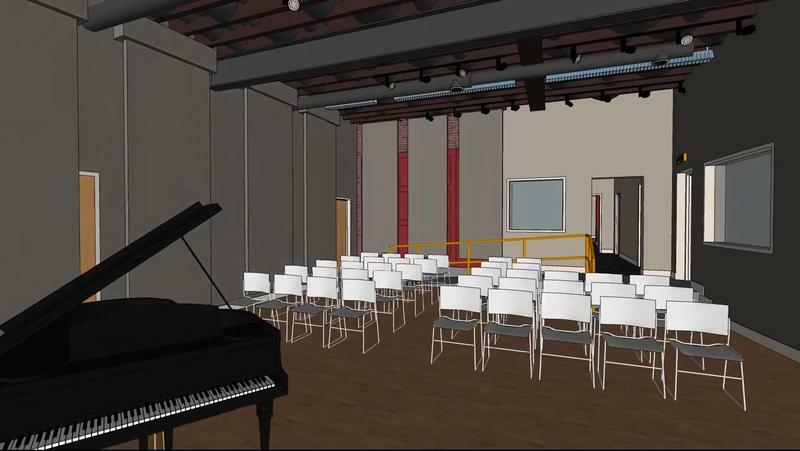 The area where Spokane's first fire trucks were build is being transformed into a state-of-the-art Performance Studio, capable of audio and video recording. Flexible seating allows this room to be utilized for live performances (such as the annual MusicFest and Holy Names Piano Camp) and other needs (such as our necessary pledge drives). The original garage door that separated the insides of the two building is hung in the Performance Studio, to the audience's back. 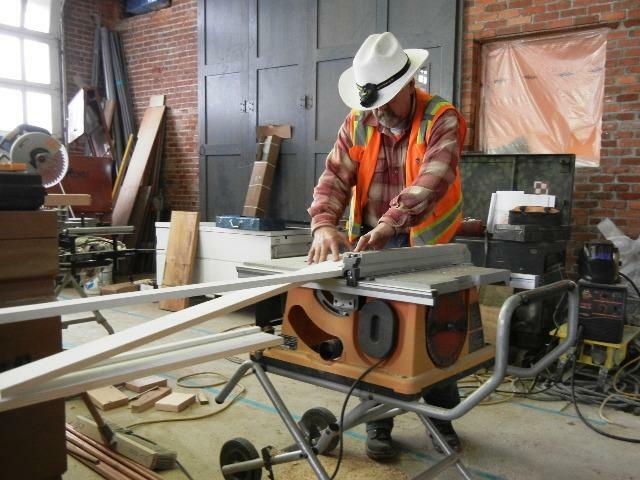 This digital walkthrough showcases SPR's plans for the historic Fire Station No. 3 at 1229 N. Monroe Street in Spokane. Unseasonably warm months have been a help for the work crews preparing Fire Station No. 3 for its new life as SPR's studios. 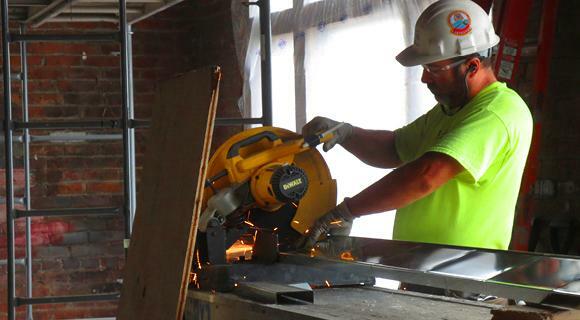 Crews from Walker Construction and its subcontractors are framing in new studios and offices. A new concrete floor is about to be poured in the Performance Studio. Electrical wiring, plumbing pipes, and heating/cooling ducts snake about the wall joists and high ceilings. It's possible the basic construction work could be completed not long after the start of 2015. Thanks to donations made to the Moving to a Sound Future project, construction has begun on Fire Station No. 3. Less than $948,000 remains to be raised to double working space and triple SPR’s production capacity. 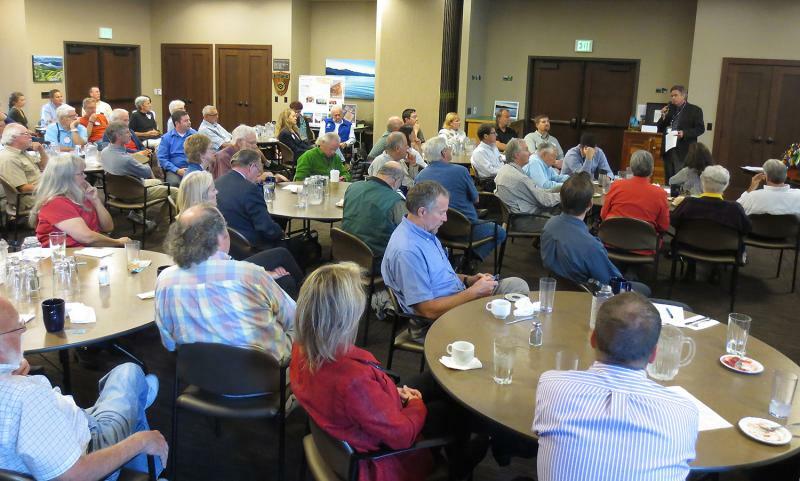 The Rotary Club of Sandpoint invited SPR General Manager Cary Boyce to speak at their regular meeting on Sept. 10, to talk about the changing face of radio and the Moving to a Sound Future project. He told the gathered members that construction was underway on the historic Fire Station No. 3 in Spokane, and that less than $1 million remained to be raised to finish the project. 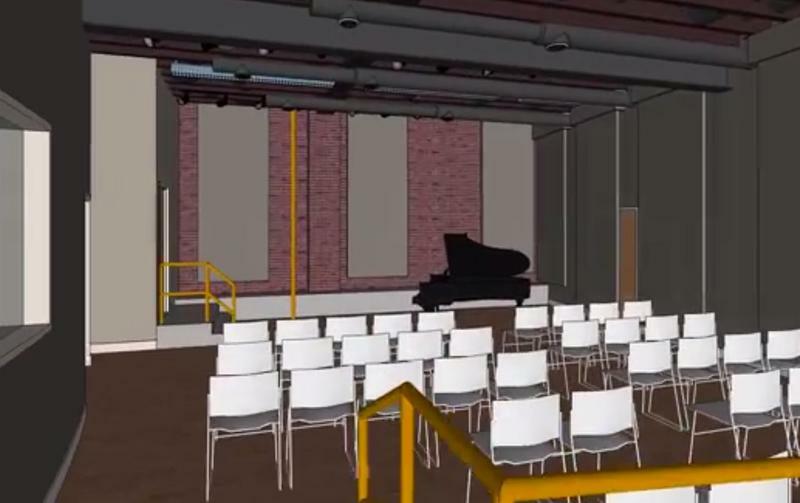 The results will include a large performance/recording studio, double the floor space, and three times the production equipment. 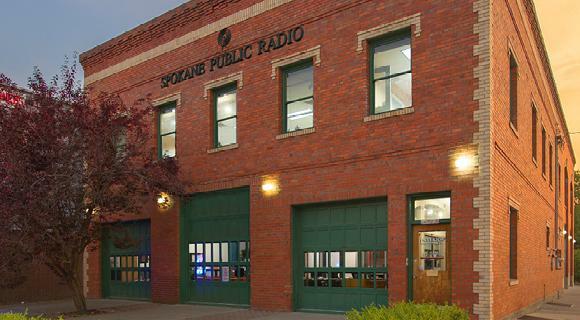 Decades before Spokane Public Radio chose the brick building at Monroe and Sharp to house the studios of KPBX, KSFC and KPBZ, the firefighters responsible for the Downtown core and area northwest of the Spokane River worked and lived there for days at a time. 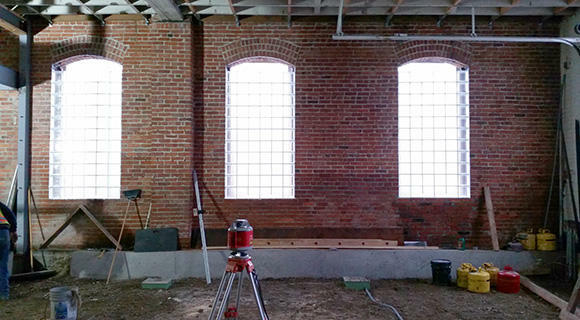 SPR’s renovation plans preserve many of the historic aspects of the brick building, which was built in two stages in 1912 and 1917. Now, SPR is preserving the oral histories of some of the men who spent a good part of their careers there. The Moving to a Sound Future project will secure, build, and grow our service for generations to come. Our total goal is $5 million, and while we're coming very close, we're not there yet. We must complete our state grant match—about $1.6 million—as soon as possible to help us meet construction obligations and deadlines. The time is now. Your gifts and your vision for public radio help secure this essential service—now and for the future.